Price Kitchens, the local bespoke kitchen design and fitting company covering Coulsdon are pleased to announce our new range of bedrooms. 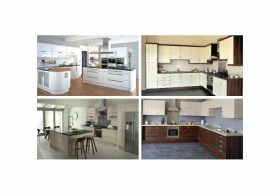 We’ve been the number one for kitchens in the local area since 1979 and are applying our considerable years of home design experience to offer top quality bedrooms. Whatever your requirements we’re confident we’ve got the ideal design for your tastes, whether you’re looking for contemporary or more traditional styles. And our bedrooms can be made to fit any space so no matter what size or shape of room you’re looking to work with, Price Kitchens have it covered. Our expertise and experience ensures you get the very best level of service in choosing and fitting a brand new bedroom for your Coulsdon home and we’re proud to be able to offer such great designs at unbeatable prices. Get in touch today to find out more or come and visit our showroom to see the new bedrooms range for yourself.